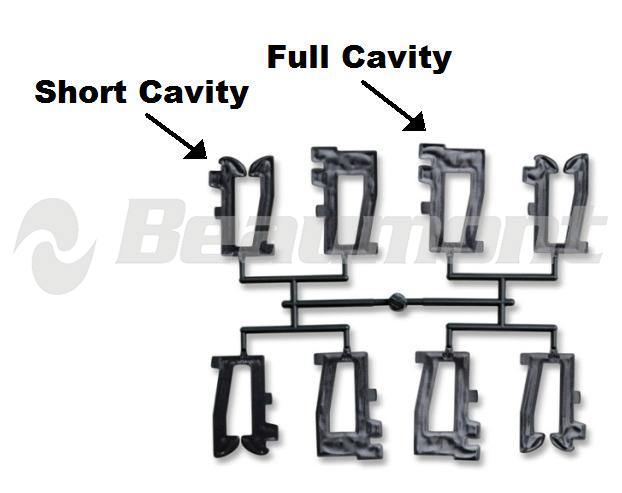 Short Shot - Beaumont Technologies, Inc.
A short shot is an incompletely filled mold cavity. This can happen for two reasons. Unintentional: As the plastic flows through cold portions of the mold, heat is continually being drawn from the melt. Plastic adjacent to the cold mold walls will freeze almost immediately. The thickness of the frozen layer is dependent on the balance between heat lost to the mold through conduction and heat gained from shear. If the injection rate into a mold for the material is too slow, the thickness of the frozen layer builds up to a point where material can no longer be fed into the cavity, thus creating a short shot. This can happen as a result of inappropriate filling conditions or excessively long flow channels. Intentional: A processor can intentionally create a short shot to diagnose how a mold is filling and how the parts are forming. By taking a short shot as seen in the figure below to the left, one can diagnose that there is a filling imbalance and therefore will create variations in the shrinkage and warpage of these parts.